Flagstaff Community Space Grand Opening of New Location! Music, Video Presentations, Food, Books, Zines, Independent CDs & DVDs, T-shirts and more! This is also a fundraiser event for this community sustained space. • 12:00PM: Open House with a BBQ, Community Gardening & Mural Painting! *FREE! 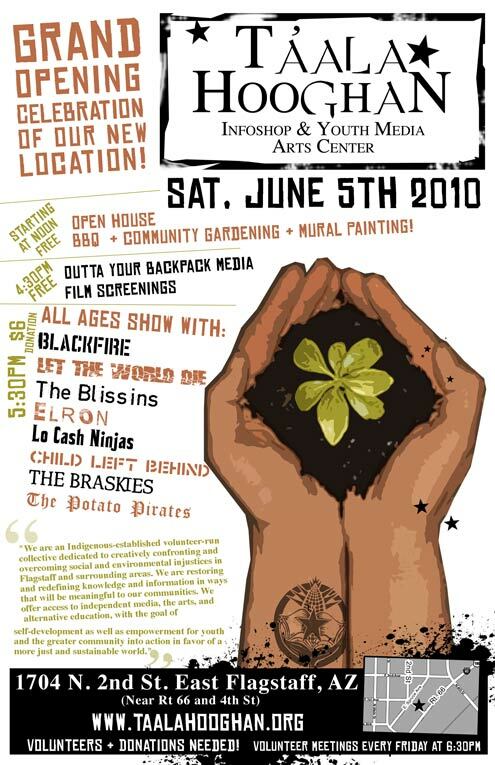 • 4:30PM: Outta Your Backpack Media Film Screenings *FREE!